Stock options in Loew’s Windsor Theatre issued at $100 each. It is to be designed by the famous architect Thomas White Lamb. Opens New Year’s Eve as a Vaudeville Theatre. Largest single floor theatre built in Canada with 1995 seats. Simon Meretsky of the Windsor Theatre, Ed Glasgow of the Empire Theatre and Dr. J.O. Reaume sign a lease changing the name to the Capitol Theatre. 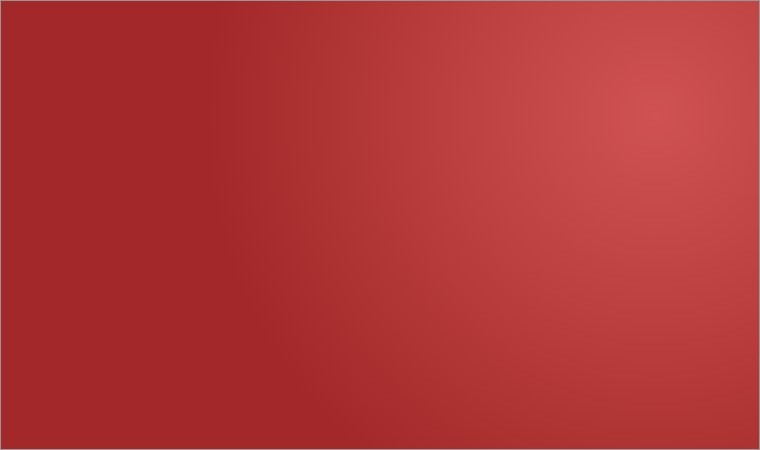 The theatre joins the prestigious B.F. Keith Vaudeville circuit bringing in some of the biggest acts from New York City. 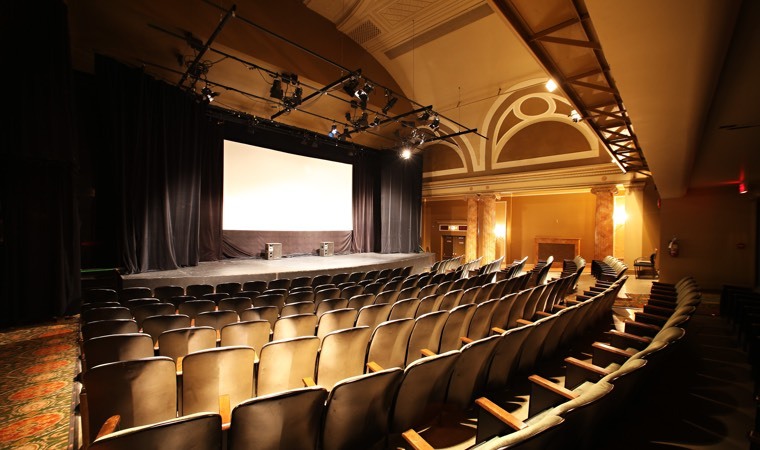 Theatre is sold to Famous Players Cinemas for $270,000. 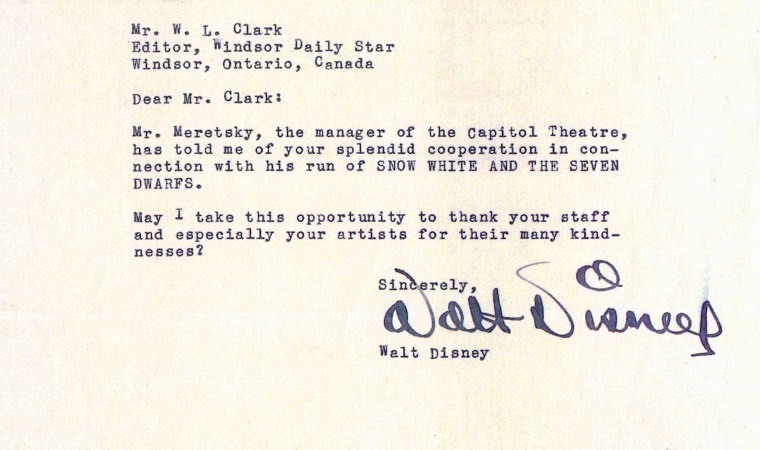 Walt Disney expressed his personal thanks in a letter to the Windsor Daily Star for supporting the opening Snow White and the Seven Dwarfs at the Capitol Theatre. Windsor Symphony Orchestra has its premier performance at the Capitol Theatre under conductor Matti Holli. Station CBE of the Canadian Broadcasting Corporation makes a special one-hour broadcast of the official opening of the station CBE in the Capitol Theatre. The theatre is split into three smaller theatres by Famous Players Cinema. Famous Players permanently closes the theatre.  Gone with the Wind is the last film to be shown. Capitol building is slated for demolition. Arts Council Windsor & Region signs a lease for the theatre. New life is brought to the stage with Theatre Alive’s production of Big River. 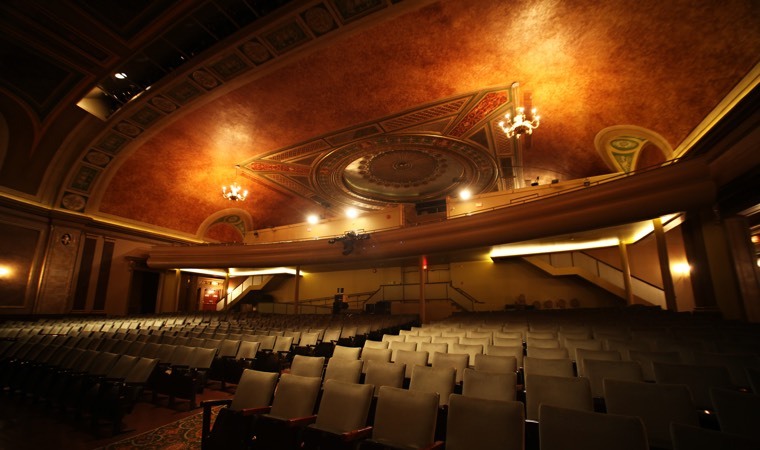 The building is purchased and incorporated as the Capitol Theatre and Arts Centre (Windsor), a registered charitable organization. A $5.5 million interior restoration/renovation of the Capitol is completed. Capitol provides ticketing services launched through Ticket Windsor. Renovation/restoration begins on new façade and installation of Windsor and Region Walk of Fame. 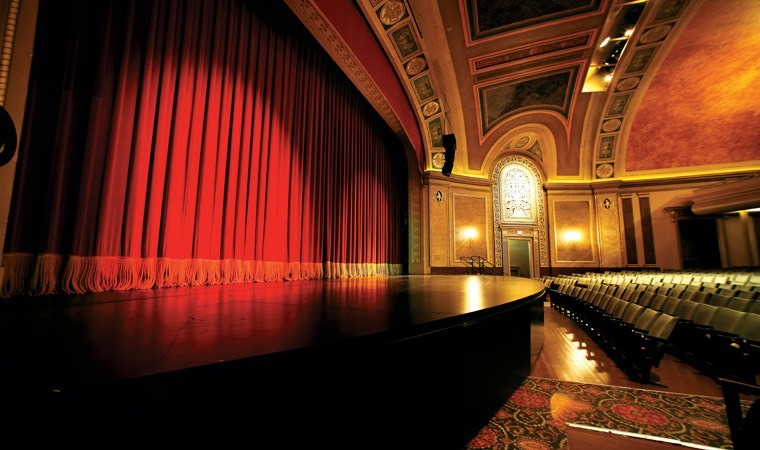 Capitol Theatre celebrates its 10th Anniversary Season. 52,000 patrons enjoy a diversity of entertainment in the three theatre spaces. Capitol Theatre files for bankruptcy. 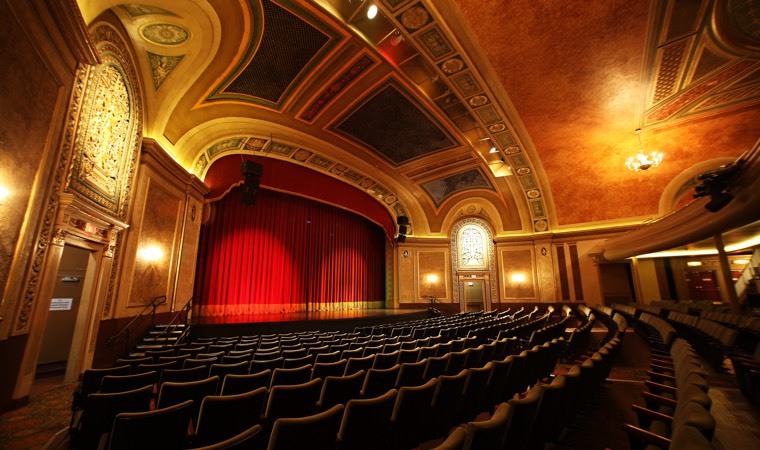 The Capitol Theatre becomes the new home for the Windsor Symphony Orchestra and continues to be a permanent fixture in Windsor’s Art Community. 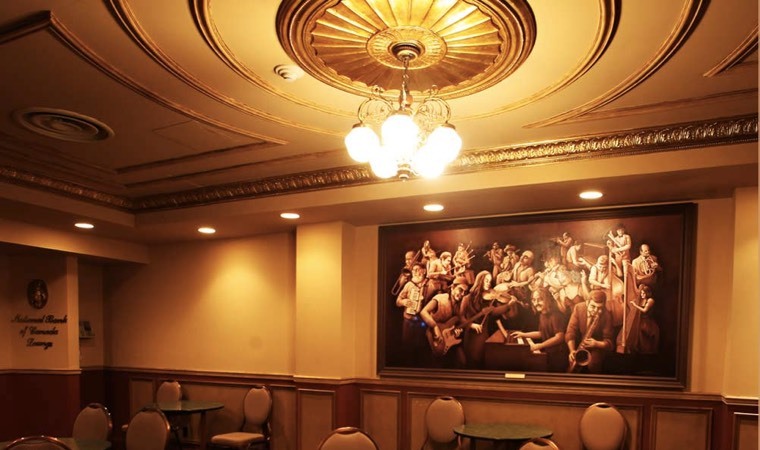 In the heart of Downtown Windsor, the Capitol Theatre currently offers the unique convenience of a three-in-one venue, joined together by a classic lobby and bar area. It is both intimate and spacious; accessible and grand. 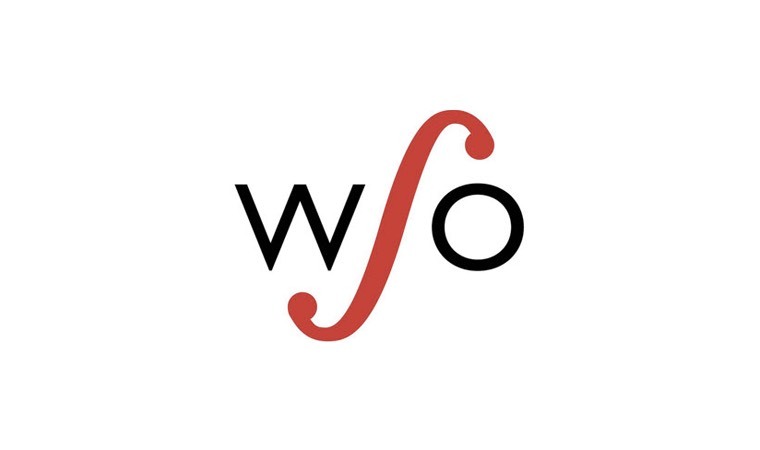 Today, the building is owned by the City of Windsor, managed by its anchor tenant, the Windsor Symphony Orchestra, and available to local artists and community groups as a multi-purpose venue for dance, literature, music, drama, film, and more. Generations of families have happy memories of the Capitol, and new ones are being made. 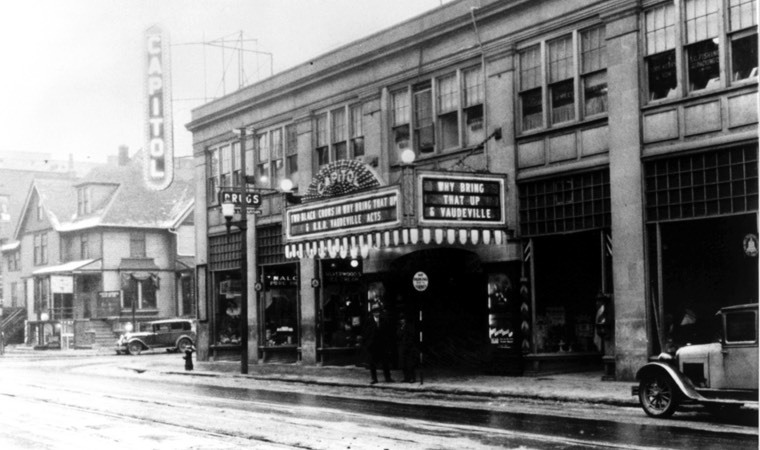 On February 12, 1920 it was announced that Marcus Loew of Loew’s Vaudeville Theatres had purchased lands on the Sound side of London Street (University Avenue) and the West side of Pelissier Street for a theatre. The theatre would be built in the “modern” single floor style with the cost of about $600,000. Loew’s Windsor Theatre took nine months to build and officially opened on New Years Eve, December 31, 1920. 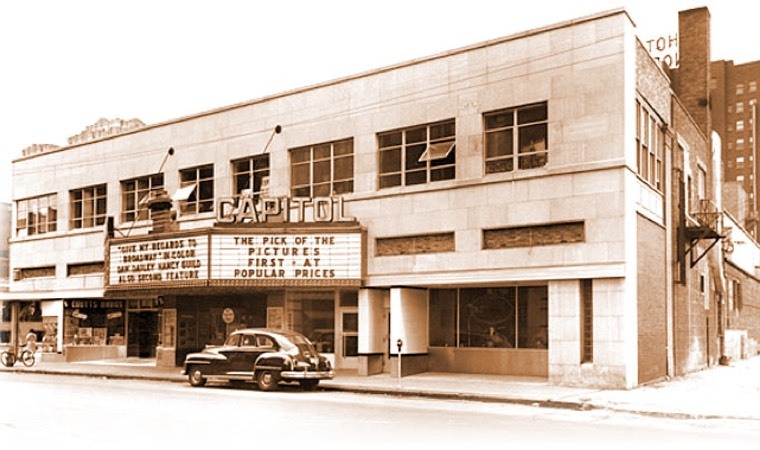 The name changed to the Capitol Theatre in 1922. 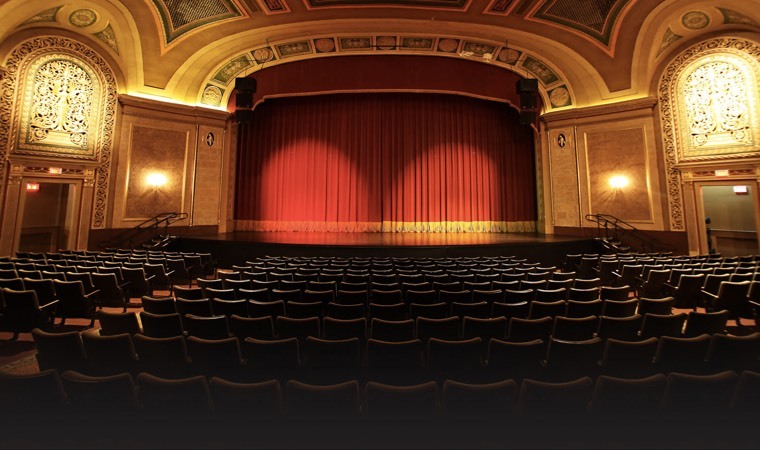 Designed by the prolific theatre architect Thomas White Lamb, the theatre was in his trademark style of Adam-Empire. One of sixteen Canadian theatres Lamb was to design, it held 1995 patrons. 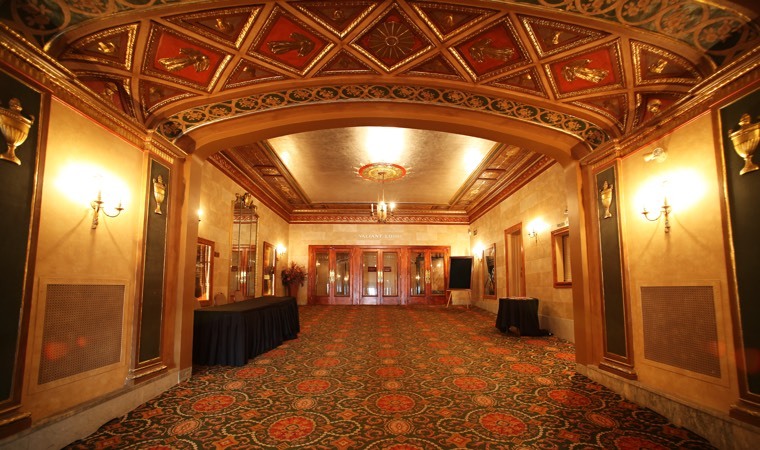 Lamb is best known in Canada for his design of Toronto’s Pantages, The Elgin and Wintergarden Theatres, and the Ottawa Capitol. 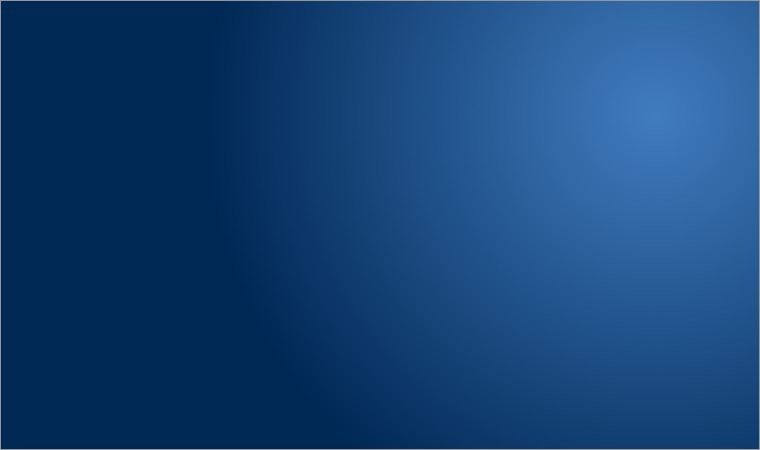 Please view our history timeline in the slide show above.